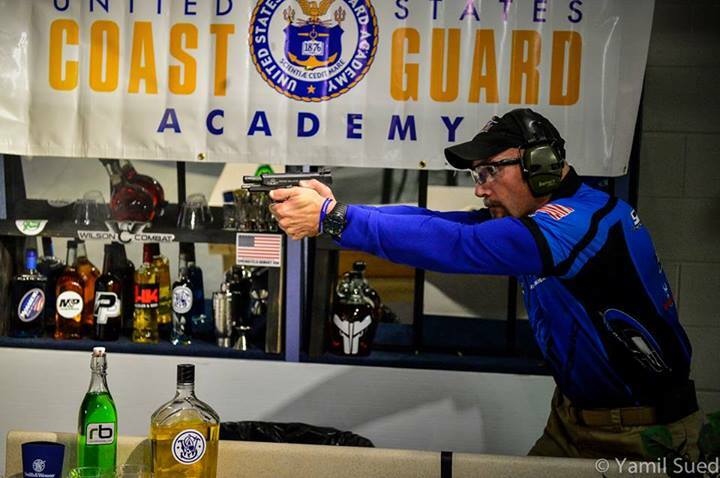 Nine (9) Things New Shooters Need to Know About Competition | Firearms, Edged Weapons, Fighting Fitness and More! I have shot pretty much every sport (practical shooting) there is, and find competing very rewarding. If you are new to shooting, be careful….once you get the bug it’s hard to let it go! and was introduced into small bore and high power competition. Years later, after some competitive shooting in the Marine Corps, I found my true competitive love while watching a shooting video of the top USPSA Practical shooters in the world. Practical shooting began decades before in the form of leatherslap competitions, where the shooters focused on fast drawing defensive firearms from their holsters. 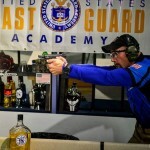 Over the years the original informal competitions became governed by the International Practical Shooting Confederation (I. P. S.C.) and United States Practical Shooting Association (U.S.P.S.A). The sports became known as “practical shooting” and the shooting and gear evolved at a very fast rate. Years later a group of shooters wishing to take practical shooting back to its roots in terms of the gear used created the I.D.P.A (International Defensive Pistol Association) and that sport continues to grow today. has allowed me to figure some stuff out along the way, things that would make life for a new shooter much easier. For this article, lets keep the list short so you can focus on and absorb each one, and in future articles I will expand on the many areas of information that you will need to know to shoot competitively. 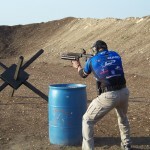 While my focus (and background) is in practical shooting, but this article addresses things that can be applied across the board for any competitive event. Make sure to joint the RSS feed to get it in your inbox! Don’t make assumptions until you come watch your first match. I am surprised each time I hear someone in conversation or from a distance talk about competitive shooting. Often times they are very much misinformed by other “target” shooters what competition is all about, what gear to use, or specific rules. I have students who are avid competitors show up to classes with a lack of knowledge about the rules of their sport and one of my first recommendations is to read the rulebook of the sport they are shooting. If you are a new shooter, don’t make assumptions until you attend a match and to watch and speak to the shooters. After that, you will have a much broader understanding of what the sport is about, and what your next step is before you shoot your first match. You don’t need to come to the match with a predetermined amount of skill! New shooters may actually be required to attend a new shooters class or group session before being allowed to compete. That being said, you don’t need to be a great shooter (or even a good one) to compete. Almost every shooting sport out there has different classes of shooters ranging from beginner to expert. Most often, you will be competition against others with similar skill. I have heard shooters say they are going to practice a bit before getting into competing many times, and my response is always to encourage shooters to get to a level of training where they are safe, then jump in with both feet. Competing will good shooters all around will help the new shooter more than practicing on their own. Get training sooner, rather than later. This is an important one. I expanded on it greatly in this blog: Taking a Training Class SOONER! The gear you end up with will likely vary largely from what you started with. Please follow my advice on this one! DO NOT go out and buy guns and gear until you have watched a match, and hopefully spoken to someone who can give you some advice. I can’t possibly express how often I see guns and gear that is completely wrong for the division that the person is going to shoot. While there is a wide range of gear that may work and be legal for most sports in the division you choose to shoot, there is probably a better gun and general holster/magazine pouch combination that are both inexpensive and effective. Please take the time to watch a match, and take a notebook with you. Ask the best shooter you see what gun and gear they use, and why. This insight will save you time and headaches in the future. Match nerves never go away! You simply learn to control them. This is one that prevents many people from shooting a match, or considering it. Just think of the nervousness as a rush instead of something negative! Even the top shooters in the world still get nervous when they step up and are about to shoot an event. One thing that all great competitors know is that there is no secret potion that will help them get rid of that performance anxiety, and that they must simply learn to operate under pressure. If your nerves are really bothering you, I suggest finding a good instructor/coach that will help you develop a “mental toughness” training plan that will both increase your confidence and reduce the anxiety you feel. Don’t expect to win your first match! When I was still in law enforcement I routinely brought other officer with me to handgun matches. It was always a surprise to them when they got solidly beat by civilian shooters. I meet many people who shoot their first match and are so humbled that they choose not to go back. Even if you are a good shooter at your local range and you can outshoot your buddies, you will probably not win your first match, and you might place farther down the list than you expected. Don’t let this bother you, and my personal suggestion is to look at it as a challenge to be overcome! There is an incredible advantage to learning how to “play the game,” and your scores will increase dramatically when you have gained some solid experience. The shooting community is full of helpful people. If you need help with something, simply ask for it! When you are at your first match, it’s pretty likely that you will have a question or need some help. Simply ask for it! Most shooting communities that I have been a part of are extremely helpful when asked a question, and more often than not they will go to extreme lengths to help someone out. I have seen more gun, gear, and ammunition loans than I can count on my hands and feet. If not having the right equipment is keeping you from shooting your first match, ask around and you will almost always find someone that is willing to load you what you need. Your ability in practice will never be the same as it is in a match. I wish this were not true, but it is. Practice makes perfect, so hopefully you will spend some time training on the range to improve your match scores. If so however, one thing that may surprise you is that you may not be able to perform to the same level in a real competition as you do in practice. Don’t let this discourage you though, because while you may not be able to replicate the skills you demonstrate in practice at the match, as long as your skill is improving in practice it will carry over to competition. If there is a huge difference in your ability in practice and a match, then consider this an indication that you might not be as strong mentally as you need to be. Likely the failure during competitions is a result of a lack of confidence, or high anxiety. See number seven for more information. Doing well when the pressure is on is the result of a strong mental preparation program. Shooting is a physical skill that is strongly influenced by visual input and mental control. That is why it is so important to understand what the “mental game” is, and how to improve in that area. The reason I bring this up is that new shooters always tend to react to a poor performance by going to the range and simply shooting more. While this may be an effective solution, it is much less effective that shooting more and adding some mental training to the equation. 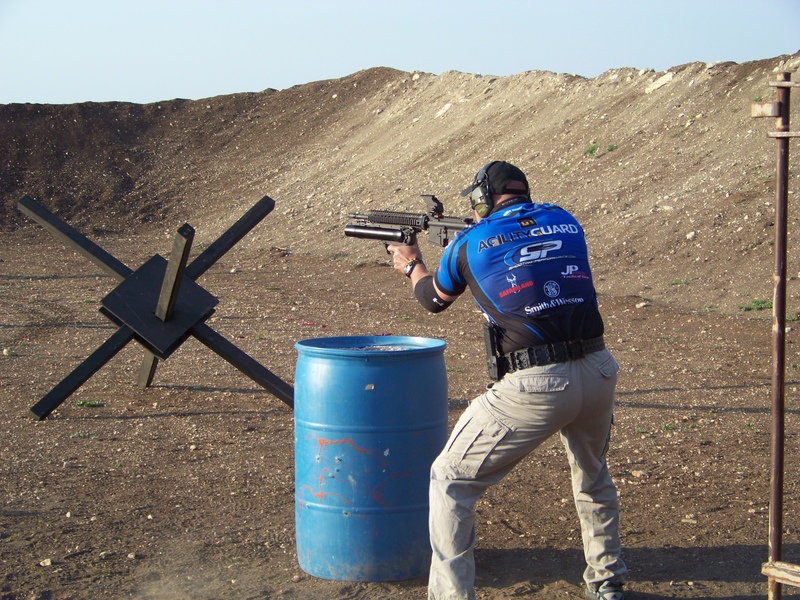 In my book, Your Competition Handgun Training Program, I include a mental section that helps shooters builds solid mental skills that translate to high performances in competitions. A key point in that section is to utilize the mental tools I give them, such as a “focus breath” and “performance statement” during their training. There is it, eight things a new shooter needs to know about competition. I hope it stimulated some thought or answered a question you may have had, and most importantly, I hope it motivates you to go shoot a match! I hope to see you there! This is all great advice. I have one more to add that is as important as anything above. Check your ego at the door – Like Mike says in item 7, the shooting community is filled with people who will bend over backwards to help you when you are a beginner IF you have the right attitude. I’m a solidly mid pack shooter. While I am better than most shooters when I go to the range on a typical Thursday night. There are people at most matches who are much much much better than me. At one point, when I had more time, I made Expert in SSP in IDPA. Expert means that you are competent, nothing more. There is a massive difference between expert and master. I will never be a master. I just don’t have the god given talent or the commitment to achieve that level of proficiency. No matter what, i always check my ego at the door. I still ask questions of those who are better than me. I’m still surprised at some answers, which may reveal a perspective or method I’d not considered. Two ears, one mouth, use them in that proportion. Excellent comments Don! Thanks for commenting, and reading! Great article! Very helpful for those of us just starting out!